Project DAWN is Ohio’s much-publicized naloxone distribution program. The program is well-intentioned and earnestly run, but it remains hamstrung by too many Ohio laws and regulations. Research shows the most effective way to distribute naloxone is also the cheapest: let trusted and trained laypersons — from churches, family organizations, harm reduction groups, homeless shelters, etc. — get the naloxone where it needs to be: places where the at-risk population (i.e., people who use drugs) live. This practice is called “community-based distribution.” Project DAWN was created to do this and, on its web site, says it does community-based distribution. But it does not. It cannot because regulatory and legal barriers are so unnecessarily high that not a single non-profit organization has been able to overcome the barriers. This is unfortunate because many, many organizations want to get naloxone to the hard-to-reach population. Ohio is unnecessarily (and unwittingly?) blocking a large volunteer workforce from helping to save the lives of its own citizens. Unlike many other states, Ohio funnels all naloxone distribution through three costly, highly regulated medical channels: local health departments, pharmacies and medical providers. This is a mistake. There’s no reason churches, probation officers, family groups, harm reduction organizations, homeless shelters and others shouldn’t be able to give it to people who clearly are at risk of an overdose or positioned to reverse one. In many states — especially those with lower overdose death rates! — most naloxone distribution is done by community members. Ohio should follow these states and the scientific evidence about what works. In May 2018, the International Journal of Drug Policy published a statistical analysis on which naloxone distribution systems reduced death most. Distribution through social networks (i.e., laypersons and community-based distribution) reduced overdose deaths 42.5% vs. 8.3% for only fixed site distribution at medical facilities, such as pharmacies. The first result is what Ohio should be doing; the second result reflects what Ohio is doing. The U.S. Surgeon General Advisory recommends community-based distribution, too. I attended every minute of every meeting of Gov. Mike DeWine’s RecoveryOhio Advisory Council. It was an amazingly thoughtful group of 30 people from across Ohio. I learned a lot. 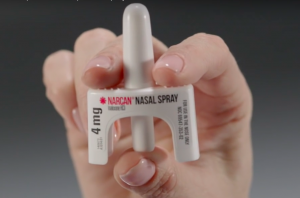 On naloxone, I talked to 25 of the 30 members of the advisory council and found essentially university support — from police, from doctors, from people in recovery — for community-based distribution. The RecoveryOhio report watered down the recommendation to generalizations about increasing naloxone. (See page 19 and recommends 31 and 32.) But in the governor’s 1,800-page budget, where policy is realized, the governor did nothing significant to increase naloxone access or to help laypersons save lives. This is a grievous policy mistake, all the more so because the change isn’t controversial and costs nothing to make. Ohio’s failure to use this basic public health tool will cost lives and waste enormous amounts of taxpayer money. 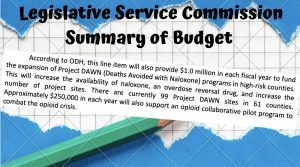 Project DAWN is a fine program, but, it should use the best and cheapest method (layperson distribution) to get naloxone where it can save lives. The governor’s “Blue Book,” which describes the proposed budget, is perplexing because it talks about “community-based distribution” as if it’s going on now. Could the Ohio’s government not realize its right hand is block its left from achieving its goal? Literally, the Ohio Department of Health and the Ohio Department of Mental Health and Addiction Services are trying to do community-based distribution but are blocked by regulations (an only-in-Ohio TDDD license requirement and other legalities) that thwart them. Ohio’s keep-naloxone-in-the-government/medical complex is a terrible way to naloxone to people who use opioids, cocaine, meth and the many other drugs that may be contaminated with fentanyl or an analog. The Ohio Department of Health should follow the evidence. It should ask the legislature to “free the naloxone” to laypersons can distribute it. Gov. 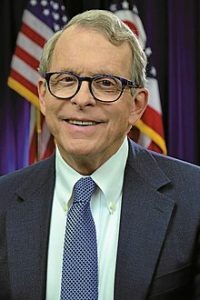 DeWine had a chance deregulate naloxone. He missed the opportunity, but the legislature can do it. The Ohio Department of Health should take the lead. We are, six years into an overdose epidemic that has killed more than 20,000 Ohioans since fentanyl came here in in a big way. For someone who works with people at risk of overdose and the heartbroken families of those who’ve died, it is sad to see Ohio policy being so far behind other states. 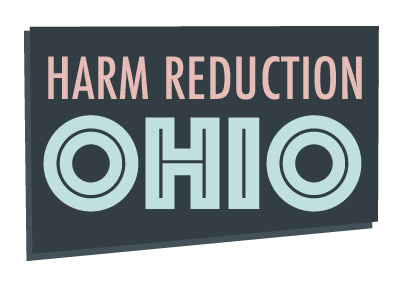 Ohio’s #1 policy overdose priority should be to remove unnecessary regulations that restrict naloxone access. It will save money and, most importantly, it will save lives.